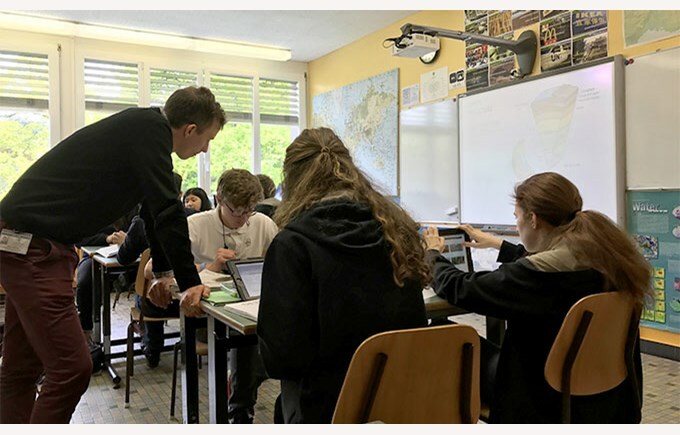 In light of the newly introduced « blended learning » technique, several classes opened their doors to demonstrate this new way of learning. Blended Learning allows students to study independently at home, and then reinforce the material through interactive activities during class – in other words, a flipped classroom. 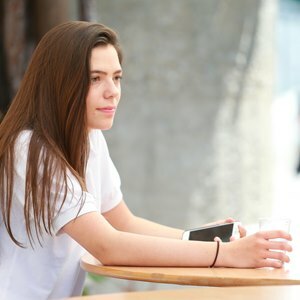 These activities are done either with the traditional pen and paper, or on iPads, which allows for a combination of teaching and e-learning. The idea of “blended learning” is currently being applied in Mr. Matthew Roberts’ 11th grade IGCSE Geography class, for example. On average, students receive about one hour of homework for the three hours of geography class that they have per week. We were able to witness one of Mr Roberts’ lesson. The class started with a short online quiz, using the students’ iPads. This quiz allowed Mr. Roberts to evaluate areas that were giving students more difficulty, for instance. Afterwards, students worked in pairs to further review the material that they had learned at home. This activity allowed the students to share their knowledge, and work in teams. Later on, the students were given the freedom to manage their own time to finish several other small tasks involving videos and online resources. As demonstrated by this class, the students immediately applied what they learned at home. 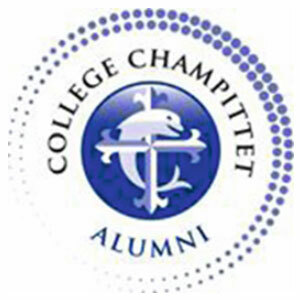 Collège Champittet is continuing to integrate the interactive flipped classroom concept to inspire children to learn.